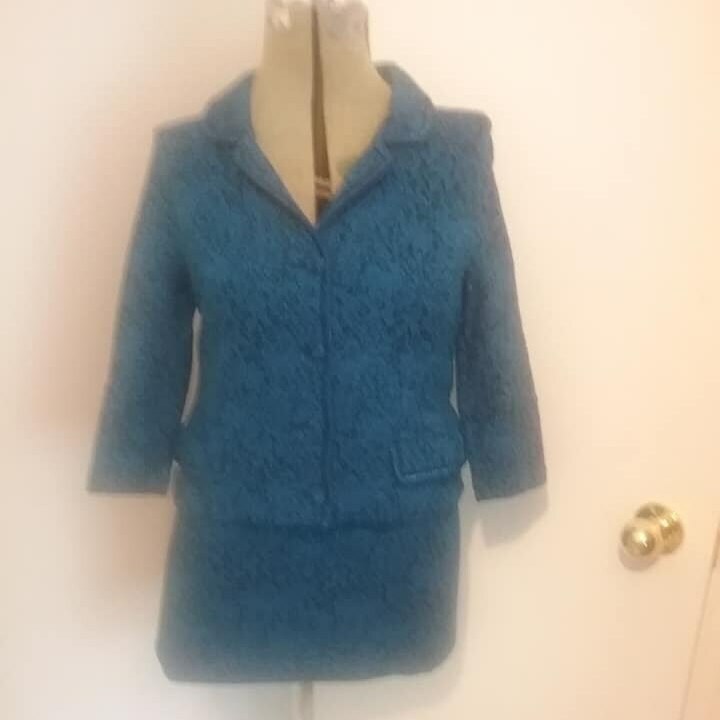 1960s blue brocade skirt suit. 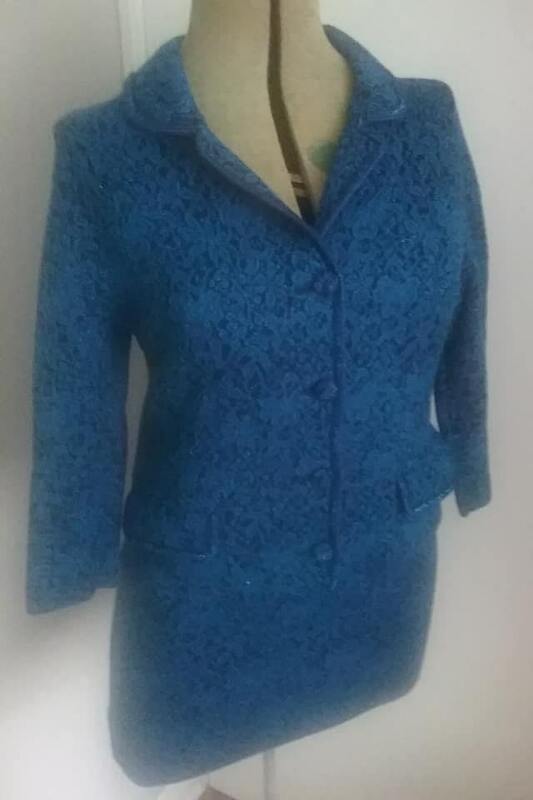 Blue on dark blue, sparkle brocad,e short pencil skirt and matching box jacket with deep v collar, 4 button front and two faux pockets. Elastic waist has been replaced, side zipper works well. The black lining needs to be hemmed in the skirt (see pic...priced accordingly). Good - very good vintage condition. 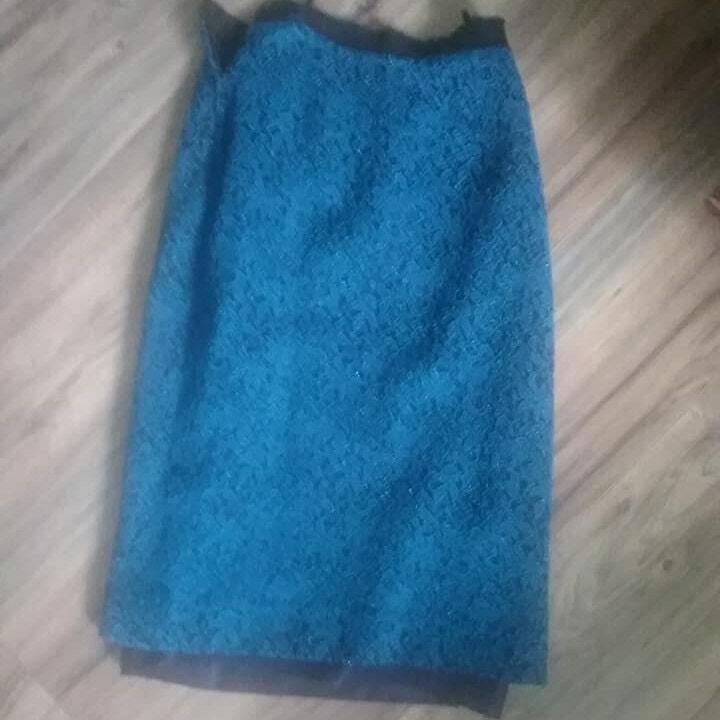 The approx sizes are as follows: skirt - waist 24" (stretch elastic band makes it able to expand to 30"), hips 34", length 24". 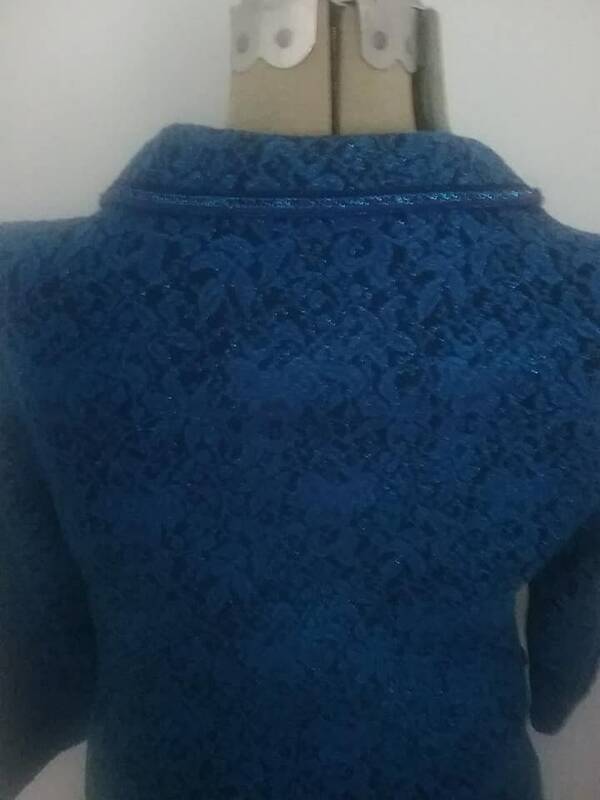 Jacket - bust 34", sleeves 19", waist 24", and back shoulders 14". 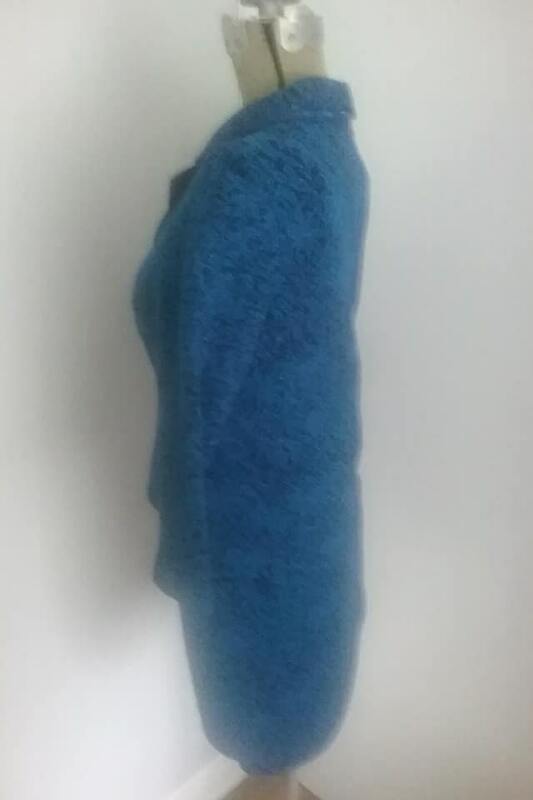 This suit has sparkle thread throughout, so it shimmers with movement. 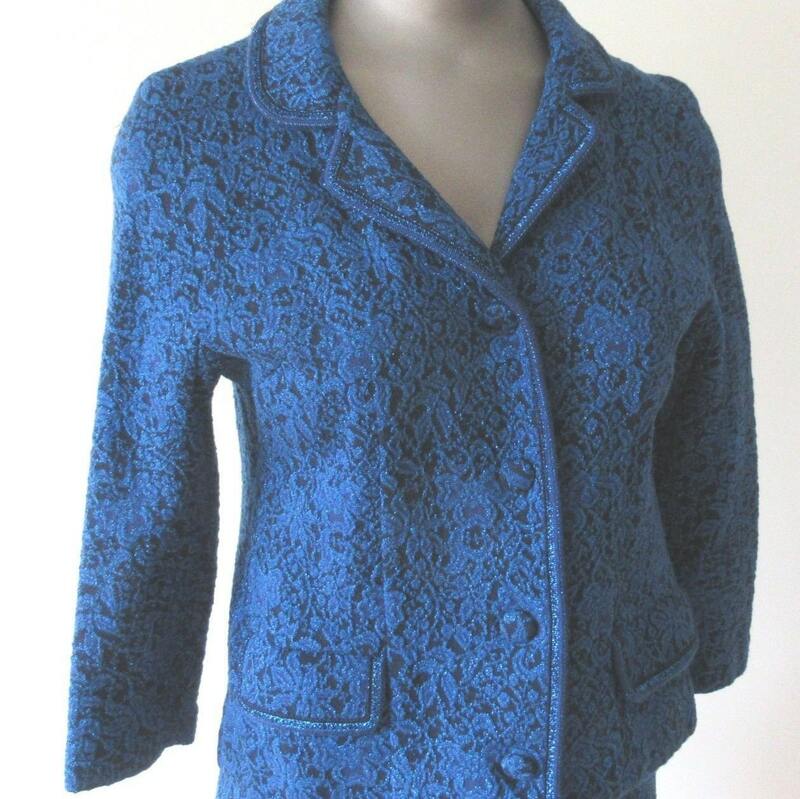 Gorgeous dark blue on black brocade. Perfect for day to evening suit.